On the United States’ birthday, we bring back Bob’s conversation with Pulitzer Prize winning historian David McCullough about 1776, his book on the American Revolution. It’s written as a companion work to John Adams, his celebrated biography of the second president, and includes research from hundreds of letters and several diaries kept by people on both sides of the conflict. What was most disappointing about Bob Edwards’s story? Bob Edwards is always great, some clerk or intern made a mistake, that's all. 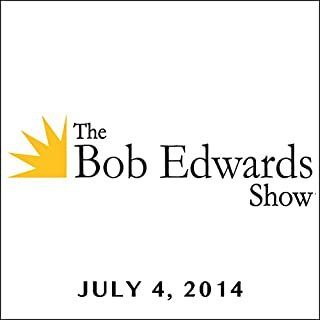 What character would you cut from The Bob Edwards Show, David McCullough, Steve Winick, and Nancy Groce, July 4, 2014? Don't cut any of it - PROVIDE IT! Send an email to all subscribers when you fix this. This history reads like a novel. It will keep you sitting in the driveway with the motor running, or riding past your exit on the subway, just to keep listening. 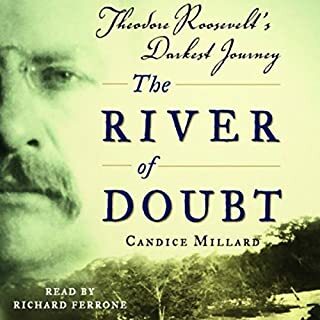 I had not heard of this Roosevelt expedition before - great investigative and storytelling work by a first time author. NYT and Washington Post just named this book among the top nonfiction books for 2005! P.S. I have NOT been paid for this indorsement - I'm a fan a great history told well, and this book is GREAT! Maybe an unabridged read would be better; maybe the book is better. I hope so. 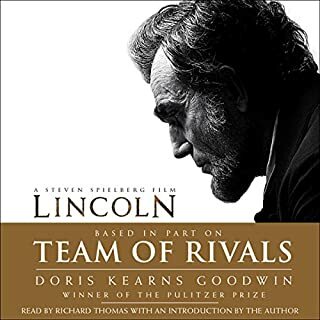 This abridged audio version is disappointing and I think not a balanced account of Lincoln, and offers nothing new about his life and times. Since I respect and admire Ms. Goodwin, I choose to blame the editor. This version portrays Lincoln as one who never made an error, never said a wrong word, always had terrific insight and wisdom, and everything worked out just the way he planned it. The celebrated depression often written about elsewhere is never mentioned. I had to keep checking the title to ensure I was hearing about Lincoln and not Jesus Christ. I loved the author's previous work on FD and Eleanor Roosevelt, but this one sounds like a gushing letter from a teenage girl with a heart throb crush. Sorry I can't rate it higher - I expected more and was disappointed. 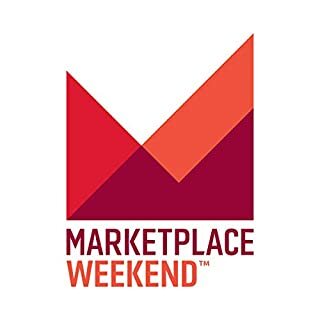 On American Public Media’s Marketplace Weekend™ host Lizzie O’Leary guides listeners through the most fascinating economic stories of the week, exploring what happened, why it matters, who it affects and what happens next. I really wish this program were better - Audible needs to offer what Sound Money promises - but this isn't it. The program seems to be oriented to those who know nothing (what's better-whole life or term?) and in each issue of the 1 month subscription I purchased, offered absolutely wrong information. In one, the interviewee insisted, over the protestation of the host, that investors had to buy government bonds through financial advisors, and "expect to pay a fee" (buy government bonds at treasurydirect.gov, no fee). In the latest issue, the interviewee from Rolling Stone insists that those who own iPOD can only hear music purchsed from Apple, and are "locking yourselves in" to only hearing Apple-purchsed music - false again, Apple plays the ubiquitous MP3 format, and converts WMA files as well. Then...there is the music - blaring and distorted, 20 decibles above the voice track, like a late-night infomertial. If you listen to audible while exercising, you can't listen to this, as you will constantly grab for the volume control to protect your hearing. Audible needs a GOOD investment periodical, but this one is not it - save your money. C-SPAN's Booknotes has been called "one of the most literate hours on television." Listen as host Brian Lamb interviews the world's foremost authors of nonfiction about their books and their personal interest in the subject matter. Get the latest issue or subscribe! In-depth, insightful, direct and fast paced hour-long interviews with authors of history, political science, biography, and adventure. 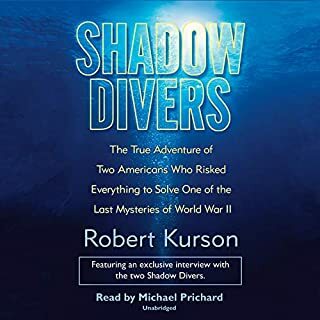 Thanks to Booknotes I've discovered great books (Shadow Divers, The Pentagon's New Map, Grant and Twain, many others) that I would have missed. 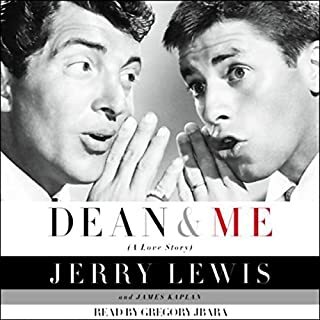 Brian Lamb is the best interviewer on television today, and I believe this to be the best periodical offered by Audible - but don't take just my word for it. Don Imus (on MSNBC 9/27/2004) said "I am a disciple of Brian Lamb." Purchase this one by the year - you won't want to miss an interview. This is one of the top 2-3 audio books I have enjoyed - ever. On a level with "Into Thin Air" or "The Perfect Storm". The story plays out like a suspense novel - and speaks to everything that is great and unique in being a man on a mission of discovery and purpose. I found myself walking to Borders in the evening, listening on my iPod, to view the book's pictures while I listened - and bought a copy to send to my son. Pritchard's narration is flawless. Download the unabridged version - don't miss a word.